Noah Gundersen has put up the White Noise b-sides on Apple Music and Spotify. Noah Gundersen’s new song “Wrong Side” is up on Spotify and Apple Music. Phoebe Bridgers has teamed up with Noah and Abby Gundersen to record a mashup of “Killer” and “The Sound.” A video for the song is up on YouTube, and the song itself is on Spotify and Apple Music. Um, it’s very good. Noah Gundersen covered Sade’s “By Your Side” for Cardinal Sessions. Noah Gundersen has been selling pins at his recent shows that contain a download code for a set of nine b-sides from his latest album. You can find the track listing below. Noah Gundersen played “California,” “The Sound,” and “Bad Desires” for Colorado Public Radio. Noah Gundersen’s Baeble session can be watched below. Noah Gundersen has announced an early 2018 tour. Noah Gundersen’s new album, White Noise, can be streamed below. He does a track-by-track breakdown of the album over at Consequence of Sound. Noah Gundersen’s new song “Number One Hit of the Summer (Fade Out)” can be streamed below. In 2014, Noah Gundersen released his first full-length album. The record in question, Ledges, was a masterclass in contemporary folk music, loaded with confessional lyrics, acoustic guitars, and fiddles. By all accounts, Gundersen seemed like a traditionalist. In 2015, Gundersen quickly followed Ledges up with his sophomore LP, the spiritually fraught Carry the Ghost. It was still a folk album, but Noah was fleshing things out, adding fractious electric guitar and other elements of full band instrumentation into the mix. It was clearly the work of a young songwriter who was yearning to grow. Between the fall of 2015 and the early winter of 2016, Gundersen did two tours in support of Carry the Ghost. The first was a full-band endeavor, presenting the songs on Ghost as they were meant to be heard. The second was a solo tour, where Gundersen played songs from both Ledges and Carry the Ghost on acoustic guitar, solo electric guitar, and piano. It was a stark, intimate presentation, and it showed off what made Gundersen so special: his vulnerable, fragile voice; his songs that could work well no matter how much he built them up or stripped them down; and his honest, forthright lyrics. But something was wrong. Gundersen was having a crisis of faith—not the same crisis of religious faith he wrote about on Carry the Ghost, but a crisis of faith in his own art. When I saw Gundersen on the solo tour for Ghost, he was pointedly reserved. He bantered with the audience occasionally, but during the songs, his eyes were cast toward the floor or closed entirely. And at the end of the show, when a condescending moderator led a Q&A session and suggested that Gundersen was “so young” and “couldn’t have possibly experienced what he sang about in his songs,” Noah seemed at a loss for how to answer—at least politely. When the Q&A ended, Gundersen headed quickly for the stage door. Noah Gundersen has debuted his new song “Bad Desire.” For those curious, the new album is different, intense, and very good. I think people are going to be very impressed. 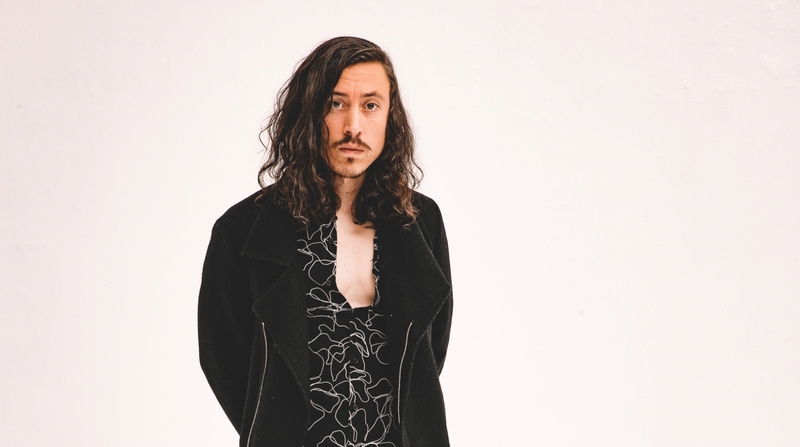 Noah Gundersen has debuted his video for “The Sound” over on Earmilk. Noah Gundersen will release his new album, White Noise, on September 22nd. He’s debuted the new song “The Sound” and pre-orders are now up. There’s also some new tour dates on his website. Noah Gundersen has signed with Cooking Vinyl. The full press release is below. Young in the City (with Noah Gundersen on vocals) have announced a new EP, II, due out October 7th. Pre-orders are now up on Bandcamp, and you can stream the new song “Wayhome” below. Rocky Votolato and Noah Gundersen have teamed up for a Live On Lacquer live 7″ release. The pressing is limited to 500 and up for sale now on Bandcamp. Live On Lacquer preserves music in a way that is timeless and genuine. Much like the way records were made in the mid-20th century, these songs are captured live and cut in real-time onto lacquer discs with our 1940’s Scully vinyl lathe. Once cut, the lacquer masters are immediately sent off for plating and pressing. Each song is recorded in one take with no editing, allowing for the truest expression of the artist’s performance to be captured. The recording method used here is 100% analog and retains a level of humanity and imperfection often lost in modern digital productions. Craig Manning writes about Noah Gundersen's current solo tour and includes details about new songs.